Abstract: Steganography hides the existence of secret information rather than hiding its meaning only. The main aim of steganography is to increase the steganographic capacity and enhance the imperceptibility or undetectability. However, steganographic capacity and imperceptibility are at odds with each other. It is not possible to simultaneously maximize the security and capacity of a steganographic system. Increasing steganographic capacity and enhancing stego image quality are still challenges. Since peak signal-to-noise ratio (PSNR) is extensively used as a quality measure of stego images, the reliability of PSNR for stego images is evaluated in the work described. The proposed work is compared with the existing method using PSNR, NCC, SC as comparison parameters. Proposed technique reduces the requirement to keep record of cover images for secret information extraction. Otherwise for each information received, the receiver should also have the cover image saved with him, which he should recall everytime for each information extraction. Proposed technique is used for the extraction of secret information for which cover image has to be recovered by noise removal methods. In the proposed technique I have tried to obtain the secret image from stego image without having cover image. Soft thresholding and bilateral filtering are the methods used to obtain cover image. Experimental results shows that there’s a trade – off between stego image and secret image extracted. It is seen that as we increase the value of alpha, stego image degrades, but secret image improves. The secret image obtained is in visually acceptable form. Results shown are objective and subjective in nature. 1. S .K. Moon and R.S. Kawitkar, “Data Security using Data Hiding”, International Conference on Computational Intelligence and Multimedia Applications, vol.- 04, pp. 247-251, Dec. 2007.2. T. Morkel, J.H.P. Eloff, M.S. Olivier, “An Overview of Image Steganography”, Information and Computer Security Architecture (ICSA) Research Group Department of Computer Science, 2005. 3. K Suresh Babu* et. al., “Authentication of Secret Information in Image Steganography”, pp. 1-6, Nov. 2008, IEEE . 4. Eugene T. Lin and Edward J. Delp,” A Review of Data Hiding in Digital Images”. 5. S.Arivazhagan,W.Sylvia Lilly Jebarani,, M.Shanmugaraj,”An Efficient Method for the Detection of Employed Steganographic Algorithm using Discrete Wavelet Transform”, Second International conference on Computing, Communication and Networking Technologies, pp.1-6, 2010. 6. Chih-Chin Lai,Member, and Cheng-Chih Tsai,” Digital Image Watermarking Using Discrete Wavelet Transform and Singular ValueDecomposition”, Ieee Transactions on Instrumentation and Measurement, Vol. -59, No. -11, pp. 3060- 3063, November 2010. 7. B.L. Gunjal, R.R.Manthalkar,” Discrete Wavelet Transform based Strongly Robust Watermarking Scheme for Information Hiding in Digital Images”, Third International Conference on Emerging Trends in Engineering and Technology, pp. 124- 129, 2010 IEEE. 8. Ma Ding, Fan Jing,” Digital Image Encryption Algorithm Based on Improved Arnold Transform”, International Forum on Information Technology and Applications, Vol. -1, pp. 174- 176, 2010. 10. Zhenjun Tang and Xianquan Zhang,” Secure Image Encryption without Size Limitation Using Arnold Transform and Random Strategies”, Journal of Multimedia, Vol.- 6, No.- 2, pp. 202- 206, April 2011. Science Engineering, pp. 22- 27. 12. Lingling Wu, Jianwei Zhang, Weitao Deng, Dongyan He,” Arnold Transformation Algorithm and Anti-Arnold Transformation Algorithm”, The 1st International Conference on Information Science and Engineering (ICISE2009), pp. 1164- 1167, IEEE 2009. 13. B.L. Gunjal, R.R.Manthalkar,” Discrete Wavelet Transform based Strongly Robust Watermarking Scheme for Information Hiding in Digital Images”, Third International Conference on Emerging Trends in Engineering and Technology, pp. 124- 129, IEEE 2010. 14. Kalra, G.S., R. Talwar and H. Sadawarti,” Blind Digital Image Watermarking Robust Against Histogram Equalization”, Journal of Computer Science 8 (8), pp. 1272- 1280, 2012. 15. Baisa L. Gunjal, and Suresh N.Mali,” Secured Color Image Watermarking Technique in DWT- DCT Domain”, International Journal of Computer Science, Engineering and Information Technology (IJCSEIT), Vol.1, No.3, pp. 36- 44, August 2011. 16. Nilanjan Dey, Sourav Samanta, Anamitra Bardhan Roy,” A Novel Approach of Image Encoding and Hiding using Spiral Scanning and Wavelet Based Alpha-Blending Technique”, Int. J. Comp. Tech. Appl., Vol. 2 (6), pp. 1970-1974, 2011. Abstract: Stress Analysis and Optimization of Crankshafts Subject to Dynamic Loading The main objective of this study was to investigate weight and cost reduction opportunities for a forged steel crankshaft. The need of load history in the FEM analysis necessitates performing a detailed dynamic load analysis. Therefore, this study consists of three major sections: (1) dynamic load analysis, (2) FEM and stress analysis, (3) optimization for weight and cost reduction. In this study a dynamic simulation was conducted on two crankshafts, cast iron and forged steel, from similar single cylinder four stroke engines. Finite element analysis was performed to obtain the variation of stress magnitude at critical locations. The pressure-volume diagram was used to calculate the load boundary condition in dynamic simulation model, and other simulation inputs were taken from the engine specification chart. The dynamic analysis was done analytically and was verified by simulations in ADAMS which resulted in the load spectrum applied to crankpin bearing. This load was then applied to the FE model in ABAQUS, and boundary conditions were applied according to the engine mounting conditions. The analysis was done for different engine speeds and as a result, critical engine speed and critical region on the crankshafts were obtained. Stress variation over the engine cycle and the effect of torsional load in the analysis were investigated. Results from FE analysis were verified by strain gages attached to several locations on the forged steel crankshaft. Results achieved from aforementioned analysis were used in optimization of the forged steel crankshaft. Geometry, material, and manufacturing processes were optimized considering different constraints, manufacturing feasibility, and cost. The optimization process included geometry changes compatible with the current engine, fillet rolling, and the use of microalloyed steel, resulting in 18% weight reduction, increased fatigue strength and reduced cost of the crankshaft, without changing connecting rod and/or engine block. A 26% weight reduction is also possible considering changes in the main bearings and the engine block. 1. Altan, T., Oh, S., and Gegel, H. L., 1983, “Metal Forming Fundamentals and Applications,” American Society for Metals, Metal Park, OH, USA. 2. Ando, S., Yamane, S., Doi, Y., Sakurai, H., and Meguro, H., 1992, “Method for Forminga Crankshaft,” US Patent No. 5115663, United States Patent. 3. Baxter, W. J., 1993, “Detection of Fatigue Damage in Crankshafts with the Gel Electrode,” SAE Technical Paper No. 930409, Society of Automotive Engineers,Warrendale, PA, USA. 4. Borges, A. C., Oliveira, L. C., and Neto, P. S., 2002, “Stress Distribution in a Crankshaft Crank Using a Geometrically Restricted Finite Element Model,” SAE Technical PaperNo. 2002-01-2183, Society of Automotive Engineers, Warrendale, PA, USA. 5. Burrell, N. K., 1985, “Controlled Shot Peening of Automotive Components,” SAETechnical Paper No. 850365, Society of Automotive Engineers, Warrendale, PA, USA. 6. Chien, W. Y., Pan, J., Close, D., and Ho, S., 2005, “Fatigue Analysis of Crankshaft Sections Under Bending with Consideration of Residual Stresses,” International Journalof Fatigue, Vol. 27, pp. 1-19. 7. Fergusen, C. R., 1986, “Internal Combustion Engines, Applied Thermodynamics,” John Wiley and Sons, Inc., New York, NY, USA. 8. Guagliano, M., Terranova, A., and Vergani, L., 1993, “Theoretical and Experimental Study of the Stress Concentration Factor in Diesel Engine Crankshafts,” Journal of Mechanical Design, Vol. 115, pp. 47-52. 9. Halderman J. D. and Mitchell, C. D., 2001, “Automotive Engines,” 1st edition, Prentice Hall, Inc., Upper Saddle River, NJ, USA. 10. Henry, J., Topolsky, J., and Abramczuk, M., 1992, “Crankshaft Durability Prediction – A New 3-D Approach,” SAE Technical Paper No. 920087, Society of Automotive Engineers, Warrendale, PA, USA. 11. Hoffmann, J. H. and Turonek, R. J., 1992, “High Performance Forged Steel Crankshafts - Cost Reduction Opportunities,” SAE Technical Paper No. 920784, Society of Automotive Engineers, Warrendale, PA, USA. Abstract: The main aim of this paper is to analyze the Bit error rate performance by using Reed Solomon codes in the presence of noisy channel i.e. (Additive White Gaussian Noise. In this paper, (16, 32, 64) FSK (Frequency Shift Keying) modulation is used for simulation of coded communication system. For simulation, we use MATLAB/SIMULINK as a tool to calculate BER rate using Monte Carlo method. The forward error correction technique is used to detect and correct errors received from AWGN Noise channel. For encoding the received signal by removing burst errors or noise and improves the performance by using Reed Solomon codes. The results are plotted by using BERTOOL (Monte Carlo, Theoretical, and Semi-analytic) values can be evaluated at different parameters. At constant code rate and error correcting capability, BER increases as the code length increases. The Bit-Error-Rate performance improves as the redundancy increases is also observed. The properly chosen error-correction code can significantly improve the BER performance is the key observation of this simulation calculation. Keywords: Bit-Error-Rate, FSK-Frequency Shift Keying, MATLAB/SIMULINK, Reed-Solomon codes. 1. John G. Proakis, Digital Communication (New York, McGraw Hill, 2001). 2. Kennedy, G.; Davis, B. Electronic Communication Systems (McGraw-Hill International, 1992). 3. Bernard Sklar., Digital Communications: Fundamentals and Applications (Prentice-Hall, 2002). 4. Ehab H. Abdelhay and Fayz W. Zak., AWGN Channel Capacity for Multi-Cell Interference Model in WCDMA-FDD Systems, International Journal of Computer Science and Network Security (IJCSNS), 10 (5), 2010. 5. Rodolfo Ledesma Goyzueta and Flavio Carrillo., Performance Comparison of DQPSK and QPSK in Two-Channel MC-CDMA Environment, Proceedings of the World Congress on Engineering and Computer Science (WCECS), 1, 2010. 6. Shailendra Jain, A. K. Saraf and M. Tiwari Performance Analysis of Non Coherent Mary PSK with Square Law Combiner on L Diversity Correlated Channels, International Journal of Engineering Science and Technology,2(9), 2010, 4989-5000. 7. T. Aaron Gulliver, Diversity combining and Reed-Solomon Coding for Fast Frequency Hopped Non-coherent M-FSK, IEEE sponsored conference, 1990, 0106 - 0110. 8. Reed, I. S. and Solomon, G., Polynomial Codes Over Certain Finite Fields, SIAM Journal of Applied Math, 8, 1960, 300-304. 9. Cho, K., and Yoon, D., The general BER expression of one- and two-dimensional amplitude modulations, IEEE Transaction Communication, 2002, 1074-1080. 10. Simon, M. K, The bit-error probability of differentially encoded QPSK and offset QPSK in the presence of carrier synchronization, IEEE Transaction Communication, 2006, 806-812. 11. Faisal Rasheed Lone, Arjun Puri and Sudesh Kumar, Performance Comparison of Reed Solomon Code and BCH Code over Rayleigh Fading Channel, International Journal of Computer Applications 71(20), 2013. Abstract: In Wireless Sensor Network (WSNs), gather the data by using mobile sinks has become popular. Reduce the number of messages which is used for sink location broadcasting, efficient energy data forwarding, become accustomed to unknown earthly changes are achieved by a protocol which is projected by a SinkTrail. The forecast of mobile sinks’ location are done by using logical coordinate system. When sensor nodes don’t have any data to send, at that time they switch to sleep mode to save the energy and to increase the network lifetime. And due to this reason there is a chance of the involvement of nodes that are in sleeping state between the path sources to the mobile sink which is selected by the SinkTrail protocol. Before become the fully functional and process the information, these sleeping nodes can drop the some information. Due to this reason, it is vital to wake-up the sleeping nodes on the path earlier than the sender can start transferring of sensed data. In this paper, on-demand wake-up scheduling algorithm is projected which is used to activates sleeping node on the path before data delivery. Here, in this work the multi-hop communication in WSN also considers. By incorporating wake-up scheduling algorithm to perk up the dependability and improve the performance of on-demand data forwarding extends the SinkTrail solution in our work. This projected algorithm improves the quality of service of the network by dishonesty of data or reducing the loss due to sleeping nodes. The efficiency and the effectiveness projected solution are proved by the evaluation results. Keywords: Wireless sensor network, wake-up scheduling, communication system routing, data reporting of WSN, routing. 1. L. Yu, N. Wang, and X. Meng. Real-time forest fire detection with wireless sensor networks. In Proceedings of the International Confernce Wireless Communication, Networking and Mobile Computing, pages 1214–1217, 2005. 3. S. Basagni, A. Carosi, E. Melachrinoudis, C. Petrioli, and Z.M.Wang. Controlled sink mobility for prolonging wireless sensor networks lifetime. In Proceedings of the ACM/Elsevier Wireless Networks, pages 831–858, 2007. 4. Xinxin Liu, Han Zhao, Xin Yang, and Xiaolin Li. Sinktrail: A Proactive data reporting protocol for wireless sensor networks. In Proceedings of the IEEE TRANSACTIONS ON COMPUTERS, volume 62, 2013. 5. Y. Wu, S. Fahmy, and N. B. Shroff. Optimal sleep/wake Scheduling for time-synchronized sensor networks with qos Guarantees. In Proceedings of the IEEE IWQoS, 2006. 6. T. Dam and K. Langendoen. An adaptive energy-efficient mac protocol for wireless sensor networks. In Proceedings of the ACM SenSys, 2003. 7. S. Singh and C. Raghavendra. Pamas: Power aware multi-access protocol with signalling for ad hoc networks. In Proceedings of the ACM Computer Communication, pages 5–26, 1998. 8. M. Demirbas, O. Soysal, and A. Tosun. Data salmon: A Greedy mobile base station protocol for efficient data collection In wireless sensor networks. In Proceedings of the IEEE Third International Confernce Distributed Computing in Sensor Systems, volume 267 - 280, 2007. 9. M. Ma and Y. Yang. Data gathering in wireless sensor networks with mobile collectors. In Proceedings of the IEEE International Symposium Parallel and Distributed Processing (IPDPS), 2008. 10. A.A. Somasundara, A. Ramamoorthy, and M.B. Srivastava. Mobile element scheduling for efficient data collection in wireless sensor networks with dynamic deadlines. In Proceedings of the IEEE 25th International Real-Time Systems Symp. (RTSS), pages 296–305, 2004. 11. O. Soysal and M. Demirbas. Data spider: A resilient mobile basestation protocol for efficient data collection in wireless sensor networks. In Proceedings of the International Conference on Distributed Computing in Sensor Systems (DCOSS), 2010. 12. M. Zhao, M. Ma, and Y. Yang. Mobile data gathering with Space-division multiple access in wireless sensor networks. In Proceedings of the IEEE INFOCOM, pages 1283–1291, 2008. Abstract: Switched Reluctance Machine (SRM) has a straight-forward and a strong development; they dispense with changeless magnets, brushes, commutators, loop windings in rotor poles. As a consequence of its natural straight-forwardness, SR motors offers focal points as a consequence of its natural straightforwardness, interest of solid and minimal effort variable-speed drives. One of the fundamental partsof the research in switched reluctance motor drive is the design of converter with low dynamic devices. The execution and the expense of the drive rarely influenced by execution of the converters. Despite of the fact that various converters have developed throughout the years for SRM drives. All converters have their preferences & weakness. There has dependably been an exchange off between picking up a portion of focal points of interest and losing some of novel configurations. The determination of a converter, in the greater part of the cases, relies on the provision & consistency. To encourage the determination a relative analysis is introduced in this paper. A classification of SRM formal conversion configurations with a point by point dissection of intended configuration is introduced. At long last intended H-bridge topology fed 6/4 SRM drive worked as open loop model & closed loop model controlling strategy is actualized using Matlab/Simulink Tool and relating results are presented. 1. T.Wichert, “Design and construction modifications of switched reluctance machines,” Ph.D. thesis, Warsaw University of Technology, 2008. 2. Y Hasegawa, K. Nakamura, and O. Ichinokura, “Dvelopment of a switched reluctance motor made of permendur,” in Proc. 2nd Int. Symp. On Advanced Magnetic Materials and Applications, Journal of Physics, 2011. 3. M. T. Lamchich, Torque control, in Tech publisher, February 10 2011, ch. 8. 4. R.D. Doncker, D. W. J. Pulle, and A. Veltman, Advanced Electrical Drives: Analysis, modeling, control, springer press, 2011, ch. 10. 5. E.S. Elwakil and M.K. Darwish, “Critical review of converter topologies for switched reluctance motor drives,” International Rwview of Electrical Engineering, vol. 2, no. 1, January-February 2011. 6. J. W. Ahn, J.Liang, and D.H. Lee, “classification and analysis od switched reluctance converters,” Journal of Electrical Engineering & Technology, vol. 5, no. 4, pp. 571-579,2010. 7. Z. Grbo, S. Vukosavic, and E. Levi, “A novel power inverter for switched reluctance motor drives,” FACTA Universitatis(NIS), Elec. Eng., vol. 18, no. 3, pp. 453-465, December 2005. 8. S.A Nsar, “Dc Switched Reluctance Motor,” proceedings of the Institution of Electrical Engineers, vol.166, no.6, june, 1996, pp.10481049. 9. J.V. Byrne, et al., “ A High performance variable Reluctance Drive: A New Brushless servo,” Motor control proceedings , Oct. 1985, pp. 147-160. 10. P. French and A.H. Williams, “A new Electric Propulsion Motor,” Proceedings of AIAA Third propulsion Joint specialist conference, Wasington, D.C., July, 1967. 93,no.1, January, 1974, pp. 367-376. 12. P.J. Lawrenson, “Switched Reluctance Motor Drives,” Electronics and Power, 1983,pp.144-147. 13. R. Krishnan, “switched Reluctance Motor Drives: Modeling, simulation, analysis, Design, and Application, ”CRC press, 2001. 14. T.J. E. Miller. “Electronic control of switched reluctance motors,”. Newnes Power Engineering series Oxford, Uk, 2001. 15. S. Vukosavic and V.R Stefanovic, “SRM inverter topologies: A comparative evaluation,” IEEE Transactions On industry Applications, vol. 27,no. 6, pp. 1034-1047, November/December 1991. 16. M. Ahmad, High performance AC Drives: Modelling Analysis and Control; Springer press, 2010, ch. 6. 17. E. Elwakil, “ A new converter toplogy for high speed high starting torque three- phase switched reluctance motor drive system,” Ph.D. thesis, Brunel University London , UK, January 2009. 18. D. H. Lee, J. Liang, T. H. Kim, and J. W. Ahn,”Novel passive boost power converter for SR drive with high demagnetization voltage,” Dept. of Electrical and Electronics Engineering, Kyungsung University, Korea, 2006. 19. M. Asgar, E. Afjei, A. siadatan, and A. Zakerolhosseini, “A New modified asymmetric bridge drive circuit switched reluctance motor,” in Proc. European conference circuit theory and design, Aug 2009, pp. 539-542, 23-27. 20. M.barnes and C. Pollock, “Power electronic converters for switched reluctance drives,” IEEE Transactions on Power Electronics, vol. 13, no. 6, pp. 1100-1111, November 1998. Abstract: The damage observed in past earthquakes, has shown as the presence of infills significantly influences the seismic performance of RC moment resisting frames. In fact, the presence of full infilled frames, with regular distribution, could improve the seismic response and mitigate horizontal displacements. On the other hand, an irregular distributions of infill could dramatically modify the stiffness and resistance of structures resulting in a brittle collapse mechanism related with soft story or torsional effects. In this study it has been evaluated the seismic behaviour of frames designed to bear only gravity load; a simulated design procedure has been adopted, according to code provisions and design practices in force in Italy between 1950s and 1970s. A parametric study has been performed to take into account the typical mechanical properties of masonry available in Italy. Infill panels have been modelled by means of equivalent struts. A pushover analysis has been carried out to evaluate the capacity curves and collapse mechanisms of infilled frames. The performed analysis allowed to analyse the influence of infill properties on the ductility of existing RC frames. The results emphasize as the properties of masonry infills should be adequately evaluated before doing a seismic analysis as the masonry shear strength significantly influences the global seismic behaviour of RC frames. Keywords: Infilled R.C. frames, masonry infills, ductility R.C. frames, seismic vulnerability. 1. P. Ricci, F. De Luca, G.M. Verderame, “6th April 2009 L’Aquila earthquake, Italy: reinforced concrete building performance”, Bulletin of Earhquake Engineering, vol.9(1), 2011, pp.285-305. 2. L. Cabanas, E. Carreno, A. Izquierdo, J.M. Martinez, R. Capote, B. Benito, J. Gaspar, A. Rivas, J. Garcia, R. Perez, M.A. Rodriguez, P. Murohy “Informe del sismo de Lorca del 11 de mayo de 2011”. Available: http://www.ign.es/ign/resources/sismologia/Lorca.pdf (in Spanish). 3. G.M. Verderame, F. De Luca, P. Ricci, G. Manfredi, “Preliminary analysis of a soft storey mechanism after the 2009 L’Aquila earthquake”, Earthquake Engineering and Structural Dynamics, vol.40(8), 2010, pp.925-944.4. P.B. Shing and A.B. Mehrabi, “Behaviour and analysis of masonry-infilled frames”, Progress in Structural Engineering and Materials, vol.4(3), 2002, pp.320-331. 5. P.G. Asteris, S.T. Antoniou, D.S. Sophianopoulos, C.Z. Chrysostomou, “Mathematical macromodeling of infilled frame: State of art”, in Journal of Structural Engineering, vol. 137(12), 2011, pp.1508-1517. 6. T.B. Panagiotakos, M.N. Fardis, “Seismic response of infilled RC frames structures”, Proceeding of the 11th World Conference on Earthquake Engineering, Acapulco, Mexico, June 23-28, 1996, Paper n.225. 7. L. D. Decanini, S.H. Bertoldi, C. Gavarini, “Telai tamponati soggetti ad azioni sismiche, un modello semplificato, confronto sperimentale e numerico”, Proceeding of the 6° convegno nazionale L’ingegneria sismica in Italia, Perugia, 13-15 October 1993, 2, pp. 815-824 (in Italian). 8. A.W. Hendry Structural masonry, Macmillan education Ltd, London, 1990. 9. N.G. Shrive, “Materials and material properties. Reinforced and prestressed masonry”, AW Hendry, Longman Scientific and Technical, London, England, 1991. 10. T. Paulay, M.J.N. Priesley, “Seismic design of reinforced concrete and masonry buildings”, John Wiley & Sons, Inc, 1992. 11. Regio Decreto Legge n.229 of 16/11/1939, “Norme per la esecuzione delle opere in conglomerato cementizio semplice od armato”, G.U. n.92 del 18/04/1940 (in Italian). 12. CEN, “Eurocode 8. Design provisions for earthquake resistance of structures – Part 1: General rules for buildings”, UNI EN 1998-1, Brussels. 13. R.J. Mainstone, “On the stiffness and strengths of infilled frames”, Proceeding Institution of Civil Engineering, Suppl 4, pp. 57-90, 1971. 14. B. Stafford Smith, “Behaviour of square infilled frames”, ASCE Journal of Structural Division, vol.92(1), 1966, pp.381-403.15. CEN, “Eurocode 8. Design of structures for earthquake resistance – Part 3: Assessment and retrofitting of buildings”, UNI EN 1998-3, Brussels. 16. M. Rozman, P. Fajfar, “Seismic response of a RC frame building designed according to old and modern practices”, Bulletin of Earthquake Engineering, vol.7(3), 2009, pp.779-799.17. I.E. Bal, H. Crowley, R. Pinho, F.G. Gulay, “Structural characteristics of Turkish RC buldings stock in Northern Marmara region for loss assessment applications”, Rose Research Report 2007/03, IUSS Press, Pavia, Italy, 2007. 18. M. Tomazevic, “Shear resistance of masonry walls and Eurocode 6: shear versus tensile strength of masonry”, Materials and Structures, vol.42(7), 2009, pp.889-907. 19. CSI, “SAP2000 Analysis reference manual”, Computer and Structures, Inc. Berkeley, 2006. Abstract: Anaerobic treatment processes are credible options for providing sustainable treatment to biodegradable waste streams. The Anaerobic Fluidized Bed Reactor (AFBR) is an evolving process that requires waste specific design methodologies based on kinetics of the specific process. The research was precisely an experimental study on AFBR 23.56 litres of effective volume to evaluate its treatment performance and gas recovery in terms of influent Chemical Oxygen Demand (COD), Hydraulic Retention Time (HRT) and Organic Loading Rate. The experimental influent COD varies from 1500 to 4000 mg/lit. The OLR for the operating are ranged from 1.47 to 29.25 Kg COD/m3.day for HRT varied from 3.2 to 24 hrs. The maximum COD removal efficiency is 86.67 at an operating OLR of 1.80 Kg COD/m3.day. The maximum biogas yield was observed at 0.30 m3/kg COD removed. 1. Treatment of Sago Wastewater using Hybrid Anaerobic Reactor. Water Qual. Res. J. Canada, 2006. Volume 41, No. 1, 56-62 copyright @ 2006, CAWQ. 2. Anaerobic Reactor to Treat Dairy Industry Wastewater. International Journal of Current Engineering and Technology ISSN 2277-4106 @ 2013 INPRESSCO. All Rights Reserved. 3. Effect of Carrier Materials in Inverse Anaerobic Fluidized Bed Reactor for Treating High Strength Organic Wastewater. Thaiyalnayaki and Sowmeyan, J Environment Analytic Toxicol 2012, 2:3. 4. Mathematical modelling of distillery wastewater Biomethanation in Fluidized-Bed Reactor Chemical Engineering Research Bulletin 14 (2010) 37-43. 5. Hydrogen and Volatile Acids Production in Anaerobic Fluidized Bed Reactor using Heat Treated Sludge Anaerobic. 17th World Hydrogen Energy Conference Brisbane, Australia 15-19 June 2008. Abstract: In this paper, a different approach to drive a Robocar using hand gesture with the help of software tool is presented. The same design is implemented on hardware using Ardiuno Microcontroller. Gesture is a most natural, expressive way of communication between human and computer in real system. We naturally use various gestures to express our own intension in everyday life. Hand gesture is one of the important methods of non-verbal communications human being. In this paper, a simulation tool, matlab based algorithm is used to recognize hand gesture. Based on hand gesture, output is generated by matlab. This output serves as an input to Microcontroller. This Microcontroller runs the DC motor accordingly. The output of DC motor is used to run the robocar. Keywords: Gestures; webcam; Arduino UNO; DC motor; L293D Driver circuit. 3. Image Processing Using MATLAB in TechSource Systems Sdn. Bhd. 6. Daniel ThalmNN, Gesture Recognition Motion Capture, Motion Retargeting, and Action Recognition, EPFL – VRlab, pp. 1-22. 7. AdityaRamamoorthy et al. “Recognition of dynamic hand gestures “,Department of Electrical Engineering IIT New Delhi-110016 India. October 2002, pp. 1-13. 8. RafiqulZaman Khan, Noor Adnan Ibraheem, Hand Gesture Recognition: a literature review,IJAIA 2012. 9. David Rybach, Prof Dr. J. Brochers, Prof Dr.H. Ney, Appearance based features for automatic continuous sign language recognition”. 10. Manglai Zhou, “3D model based hand gesture recognition and tracking”, Pami lab, university of Waterloo, December 3,2009. 11. Lars Bretzner, Ivan Laptev, Toney Lindberg, On Hand gesture recognition using multiscalecolour features hierarchiel models and partial filtering, CVAP Laboratory, Department of numerical analysis and Computer Science, Sweden,2002. 12. Vaishali S Kulkarani, ME Digital Systems, S. D. Lokhande, “Appearance based segmentation of sign language using gesture segmentation”, Sinhgad College of Engineering, 2010. 13. Wei-LunChao,“Introduction to Pattern Recognition”, National Taiwan University, Taiwan, October, 2009, pp. 1-31. Abstract: Groundwater is indispensable to humankind, but with increasing load over this precious resource it has become necessary to study it in detail with geological as well as hydro-geological aspects to understand the nature of the groundwater resource of a region and also include socioeconomic aspect in order to manage it well and use it in a sustainable way, vulnerability assessment of the resource is conducted to highlight the areas which are more susceptible to degradation and later on suitable decision can be taken to safeguard the resource. In the present study such as attempt has been made to account the groundwater vulnerability using as overlay index method, DRASTIC, which is used to prepare a vulnerability map using GIS, of the study area, Jabalpur District, Madhya Pradesh. This method accounts for the aquifer parameters like depth to water, net recharge, aquifer media, soil media, impact of Vadose zone and hydraulic conductivity. The DRASTIC Vulnerability index (DV¬¬I) is calculated as the sum of product of ratings and weights assigned to each of the parameter on the scale of 1 to 10 and 1 to 5 respectively. The vulnerability index ranges from 47-209 and is classified into three classes and it was deduced that approximately 15%, 76% and 9% of the area lies in low, medium and high vulnerability zones. Further the study of population growth water demand by various sectors are also assessed to find the overall vulnerability in terms of groundwater development which shows that if the current trend of growth in population industrial and agricultural sector continues, soon the district will fall into exploited zone. The map formed can be used for the management decision for sustainable use of the aquifer. 1. Al-Adamat R.A.N., Foster I.D.L., Baban S.M.J, “Groundwater vulnerability and risk mapping for the Basaltic aquifer of the Azraq basin of Jordan using GIS, Remote sensing and DRASTIC”. Applied Geography, 23, 2003, pp. 303–324. 2. Aller, L., Bennett, T., Lehr, J. H., Petty, R. J., “DRASTIC: A Standardized System for Evaluating Groundwater Pollution Potential Using Hydrogeologic Settings”. US EPA, Robert S. Kerr Environmental Research Laboratory, Ada, OK, EPA/600/2-85/0108, 1985, pp.163. 3. Almasari M. N. “Assessment of intrinsic vulnerability to contamination for Gaza coastal aquifer, Palestine,” Journal of environmental Management 88, 2008, pp. 577 -593. 4. Al-Zabet T., “Evaluation of aquifer vulnerability to contamination potential using the DRASTIC method.” Environmental Geology, Vol. 43, 2002, pp. 203–208. 5. Baalousha H., “Vulnerability assessment for the Gaza Strip, Palestine using DRASTIC. Environmental Geology,” Vol. 50, 2006, pp. 405–414. 6. Babikar I. S. et al. “A GIS-based DRASTIC model for assessing aquifer vulnerability in Kakamigahara Heights, Gifu Prefecture, central Japan,” Science of the Total Environment 345, 2005, pp. 127– 140. 7. Beynen P.E., Niedzielski M.A., Bialkowska-Jelinska E., Alsharif K., Matusick J. “Comparative study of specific groundwater vulnerability of a karst aquifer in central Florida.” Applied Geography 32, 2012, pp.868-877. 8. Central Public Health and Environmental Engineering Organization 1999, “Manual On Water Supply and Treatment, Ministry of Urban Development,” 1999, New Delhi. 9. Civita M., “Le carte della vulnerabilit`a degli acquiferi all’inquinamiento: teoria e pratica [Contamination vulnerability mapping of the aquifer: theory and practice].” Quaderni di Tecniche di Protezione Ambientale, Pitagora, 1994, Italy. 10. Dixon B. “Groundwater vulnerability mapping: A GIS and fuzzy rule based integrated tool,” Applied Geography, 25, 2005. Pp. 327–347. 11. Doerfliger N, Jeannin PY, Zwahlen F., “Water vulnerability assessment in karst environments: a new method of defining protection areas using a multi-attribute approach and GIS tools (EPIK method)”. Env Geol 39(2), 1999, pp.165–176. 12. Doerfliger N, Zwahlen F., “Groundwater vulnerability mapping in karstic regions (EPIK): application to Groundwater Protection Zones,” Swiss Agency for the Environment, Forests and Landscape (SAEFL), 1998, Bern, Switzerland. 13. Gemitzi A., Petalas C., Tsihrintzis V.A., Pisinaras V., “Assessment of groundwater vulnerability to pollution: a combination of GIS, fuzzy logic and decision making techniques,” Environmental Geology, 49, 2006, pp. 653-673. 14. Goldscheider N, Klute M, Sturm S, Hötzl H. “The PI method: a GIS based approach to mapping groundwater vulnerability with special consideration of karst aquifers,” Z Angew Geol 2000, 463:157–66. 15. Jury, W.A. and Ghodrati, M., “Overview of Organic Chemical Environmental Fate and Transport Modeling Approaches. Reactions and Movement of Organic Chemicals in Soils” Proceedings of a Symposium of the Soil Science Society of America and the American Society of Agronomy, Atlanta, Georgia. SSSA Special Publication No. 22. Soil Science Society of America, 1987, pp. 271-304. 17. Lee S., “Evaluation of waste disposal site using the DRASTIC system in southern Korea,” Environmental Geology, vol. 44, 2003, pp. 654–664. 18. Lucas L., Jauzein M., “Use of principal component analysis to profile temporal and spatial variations of chlorinated solvent concentration in groundwater. Environmental Pollution,” Vol. 151, 2008, pp. 205-212. 19. Ma´ dl-Szo¨ nyi, J., Fu¨ le, L., “Groundwater vulnerability assessment of the SW Trans-Danubian Central Range, Hungary.,”Environmental Geology 35 (1), 1998, pp. 9–18. 20. Marcomini A., Giove S., Critto A., Agostinni P., Pizzol L., Zabeo A., “Regional risk assessment for contaminated sites Part 1: Vulnerability assessment by multicriteria decision analysis,” Environment International, Vol. 37, 2011, pp. 1295–1306. 21. Masetti M., Sorichetta A. et al., “Reliability of groundwater vulnerability maps obtained through statistical methods,” Journal of Environmental Management, Vol. 92, 2011, pp. 1215-1224. 22. Meeks, Y.J., Dean, J.D., “Evaluating ground-water vulnerability to pesticides,” Journal of Water Resource Planning Management, 116, 1990, 693–707. 23. Neuhäuser, B., Terhorst, B., 2007. Landslide susceptibility assessment using “weights of evidence” applied to a study area at the Jurassic escarpment (SW-Germany). Geomorphology 86, 12-24. 24. Neukam C. and Azzam R. Quantitative assessment of intrinsic groundwater vulnerability to contamination using numerical simulations. RWTH Aachen University, Department of Engineering Geology and Hydrogeology.Science of the Total Environment, 2009, pp 254-255. 25. Pandey V., Shreshta S., Chapagain S.K., Kazama F., “A framework for measuring groundwater sustainability,” Environmental science & policy, Vol.14, 2011, pp. 396–407. 26. Petelet-Giraud E, Doerfliger N, Crochet P., “RISKE: méthode d’évaluation multicritère de la cartographie de la vulnérabilité des aquifères karstiques,” Application aux syst èmes des Fontanilles et Cent-Fonts (Herault, Sud de la France) Hydrogeologie, No 4, 2004, pp. 71-88. 27. Pineros, G.J.D., A. Ordoñez, J. R. and Vanclooster, M. “Metamodelling: Theory, concepts and application to nitrate leaching modeling,” Ecological Modelling, Vol.193, 2006, pp. 3-4. 28. Poli, S., Sterlacchini, S., “Landslide representation strategies in susceptibility studies using weights-of-evidence modeling technique,” Natural Resources Research, Vol. 16, 2007, pp. 121-134.29. Rahman A., “A GIS based DRASTIC model for assessing groundwater vulnerability in shallow aquifer in Aligarh, India,” Applied Geography, Vol. 28, 2008, pp. 32–53. 30. Sener E. & Sener S. & Davraz A., “Assessment of aquifer vulnerability based on GIS and DRASTIC methods: a case study of the Senirkent-Uluborlu Basin (Isparta, Turkey),” Hydrogeology journal, Vol.17, 2009, pp. 2023-2035. 31. Seyman F., “Hydrogeological investigations of Senirkent-Uluborlu (Isparta) basin (in Turkish),” M Sc Thesis, Suleyman Demirel University, 2005, Turkey. 32. Soutter, Marc., and Pannatier, Y., “Groundwater Vulnerability to Pesticide Contamination on a Regional Scale,” Journal of Environmental Quality, Vol.25, 2006, pp. 439-444. 33. Stournaras G., Koutsi R., “Groundwater vulnerability assessment in the Loussi polje area, N Peloponessus: the PRESK method,” Advances in the Research of Aquatic Environment, Vol. 2, 2011, pp. 335-342. 34. Tesoriero A.J, Inkpen E.L, Voss FD., “Assessing ground-water vulnerability using logistic regression,” Proceedings for the Source Water Assessment and Protection 98 Conference, Dallas, TX; 1998. pp. 157– 65. 35. Thirumalaivasan D., Karmegam M., Venugopal K., “AHP-DRASTIC: software for specific aquifer vulnerability assessment using DRASTIC model and GIS,” Environmental Modelling & Software, Vol.18, 2002, pp. 645–656.36. Todd, D. K 1959, Groundwater Hydrology, John Wiley & Sons, New York. Resource J 18, 1993, pp. 25–37. 38. VanWesten, C.J., Rengers, N., Soeters, R., “Use of geomorphological information in indirect landslide susceptibility assessment. Natural Hazards,” Vol.30, 2009, pp.399-419. 39. Vrba J, Zoporozec A., “Guidebook on mapping groundwater vulnerability. IAH International Contribution for Hydrogeology,” Vol. 16. Hannover7 Heise; 1994. p. 131. 40. Worrall, F. and Tim, B., “The vulnerability of groundwater to pesticide contamination estimated directly from observations of presence or absence in wells,” Journal of Hydrology, Vol. 303, 2005, pp. 92–107. 41. Worrall, F., and Kolpin, D.W., “Direct assessment of groundwater vulnerability from single observations of multiple contaminants,” Water Resource Research, 39 (art. no. 1345), 2003. 42. Worrall, F. and Kolpin D.W., “Aquifer vulnerability to pesticide pollution—combining soil, land-use and aquifer properties with molecular descriptors,” Journal of Hydrology, Vol.293, 2004, pp. 191–204. 43. Wu, JunJie. and Babcock, B. A., “ Metamodeling Potential Nitrate Water Pollution in the Central United States,” Journal of Environmental Quality, Vol. 28, 1999, pp. 1916-1928. 44. Yu C., Yao Y., Hayes G., Zhang B., Zheng C., “Quantitative assessment of groundwater vulnerability using index system and transport simulation, Huangshuihe catchment, China,” Science of the Total Environment, Vol. 408, 2010, pp. 6108–6116. 45. Zhang R, Hamerlinck JD, Gloss SP, Munn L., “Determination of non-point-source pollution using GIS and numerical models,” J Environ Qual, Vol. 25, 1996, pp. 411–8. 46. Zwahlen, F. (ed), “Vulnerability and risk mapping for the protection of carbonate (karst) aquifers, final report (COST Action 620),” European Commission, Directorate XII Science, Research and Development, Report EUR 20912, Brussels, 2004, pp.297 . Abstract: In this paper, we have used exclusively the FM band as this band is slowly gaining its popularity due to the liberalization policy of Govt. of India for its implementation. So, it is absolutely essential to find best fit propagation model. In the present work, we have used the field strength measurements of two FM broadcasting stations, each operating on different transmitted power and at different transmitting antenna heights. These field strength measurements (readings) on conversion into path loss and thereafter further be compared with the various available path loss models. An appropriate modification has been suggested and applied after calculating the mean square error (MSE) between the measured path loss and calculated path loss with the help of available models. For practical implementation, all the measurements have been taken in Punjab state of India (border district of Gurdaspur). It is further emphasized that all the measurements have been taken in an open area, so suggested model in this paper would be the best fit for open area conditions in the north bordering area of Punjab. All the measurements (readings) have been taken using the Anritsu site master by carrying it using car and with the available Anritsu dipole antenna. Using the corrected (modified) formula we have been able to reduce the Mean Square Error (MSE) value to one fourth value. For 100 W FM broadcasting station the value of MSE is coming exactly within the 6 dB limit, which is the necessary and appropriate condition for the good propagation model and for 10 KW FM stations is nearly coming closer to the 6 dB, which is the limit of a good propagation model. Keywords: FM band, Okumara model, Cost-231, Extension of Hata model, Mean square error and standard deviation. 1. Perez-Vega, C. and Zamanillo, J. M.: Path Loss Model for UHF band 4 & 5. In Proc. 8th WSEAS international conference on simulation, modeling and optimization, Cantabria, Spain, 23-25, (2008). 2. Perez-Vega, C. and Jose Luis Gracia G.: Frequency behavior of power law path lossmodel. In IEEETransactions on Broadcasting, 48(2), 91-96, (2002). 3. Armoogum, V. Soyjaudah, K. M. S., Mohamudally, N. and Fogarty, T.: Comparative Study of Path Loss withsome Existing Models for Digital Television Broadcasting for Summer Season in the North of Mauritius at UHF Band. In IEEE the Third Advanced International Conference on Telecommunications 45 (3), 145-149, (2007). 4. Friis, H. T.: The Free Space Transmission equation. In Proc. IRE, 34, 254-259 (1946). 6. Nadir, Zia Elfadhil, N. and Touati, F.: Path loss determination using Okumara hata model and cubic regression for missing data for Oman. In World congress on Engineering IAENG-WCE 5(3), 12-14, (2008). 7. Lee, J. S. and Miller, L. E.: CDMA system engineering handbook. Practice Hall of India (2009). 8. Perez-Vega, C. and Zamanillo, J. M.: Path Loss Model for Broadcasting Application and Outdoor Communication Systems in the VHF and UHF Bands. In IEEE Transactions on Broadcasting, 48(2) 91-96 (2002). 9. Prasad, M. V. S. N.: Path Loss Deduced From VHF and UHF Measurements over Indian Subcontinent and Model Comparison. InIEEE Transactions on Broadcasting, 52(3), 290-297(2006). 10. Akinwole, B. O. H, Biebuma, J. J.: Comparative analysis of empirical path loss model for cellular transmission in river state. American journal of engineering research, 2(8) 24-31 (2013). 11. Hata, M.: Empirical formula for propagation loss in land mobile radio services. In IEEE Trans. Veh. Technol.,21(2), 29-32 (1980). 12. Perez-Vega, C. and Garcia, J. L.: A simple approach to a statistical path-loss model for indoor communications. In 27th European Microwave Conf. Proc. Jerusalem, 25 (2), 132-134 (1997). 13. Sharma, Purnima K. et al. : International Journal of Engineering Science and Technology, 2(6), 12-14 (2010). 14. Rappaport, T. S.: Wireless communication- Principle and practice. Practice Hall of India (2001). 15. Cost Action 231: Digital mobile radio towards future generation system Final report. Intech. rep., EUR 189 (57), 187-195, (2009). 17. Anderson, H. R.: Fixed wireless broadband system design. John Willy & Co. (2003). 18. Okumura, Y, et al. : Field Strength and Its Variability in VHF and UHF Land-Mobile Radio Service. Review of the Electrical Communications Laboratory, 16(1), 9-15 (1968). Abstract: Underground tanks (RCC) are commonly used for storage of water for domestic use, swimming pool, sedimentation tank, etc. The vertical wall of such tanks is subjected to hydro-static pressure and soil pressure &the base is subjected to weight of water and soil pressure & uplift and it is designed by using IS 3370:2009 Part (I, II).This study focused on the optimum cost design of underground tank due to effects of unit weight of backfill soil variation, variation in grade of concrete and for same capacity change in height (Depth). The main aim is to achieve the economy. Material saving results in saving in construction cost at the same time the safety is also considered. The model is analyzed and design by using MATLAB software. Optimization is formulated is in nonlinear programming problem (NLPP) by using sequential unconstrained minimization technique (SUMT). Keywords: Underground tank, Optimum cost design.deviation. 1. ‘Reinforced Concrete Structures’ Dr. B. C. Punmia, Ashok Jain Firewall Media. Abstract: This paper describes how magnetic field H is measured for magnetic sheet materials used in electrical engineering. The measurement technical are tested in single sheet tester device which can gives alternating magnetic properties under unidirectional and sinusoidal flux density. Keywords: Single Sheet tester SST, Epstein frame, H coils methods, eddy currents, magnetic measurement. Abstract: The objective this paper is to discuss effectiveness of R.C.C. jacketing method used to improve the performance of deteriorated structure, this technique successfully applied on the structure. Also Design method, field application techniques, Advantages, Disadvantages and suitability have been discussed. Abstract: As ARM processor based web servers not uses computer directly, it helps a lot in reduction of cost. In this project our aim is to implement an Embedded Web Server (EWS) based on ARM11 processor and Linux operating system using Raspberry Pi. it will provide a powerful networking solution with wide range of application areas over internet. We will run web server on an embedded system having limited resources to serve embedded web page to a web browser. Keywords: Embedded Web Server, Raspberry Pi, ARM, Ethernet etc. Abstract: Shear wall is one of the most commonly used lateral load resisting in high rise building. Shear wall has high in plane stiffness and strength which can be used to simultaneously resist large horizontal load and support gravity load. The scope of present work was to study investigates the effectiveness of RC shear wall in medium rise building. The residential medium rise building is analyzed for earthquake and wind force by considering two type of structural system. i.e. Bare Frame system and Infilled Frame system. Effectiveness of shear wall has been studied with the help of eight different models. Four models are bare frame structural system and other four models are Infilled Frame structural system with different position of shear wall. Analysis is carried out by using standard package STADD Pro V8i. The comparison of these models for different parameters like Storey Drift and Axial fore in column is carried out. Keywords: Bare Frame Structure, Diagonal strut, Infilled Frame Structure, Shear Wall. 1. Duggal S.K. (2007). Earthquake Resistant Design of Structures; Reinforced concrete buildings, Masonry buildings, OXFORD UNIVERSITY PRESS. 2. Pankaj Agrawal and Manish Shrikhande (2007). Earthquake Resistant Design of Structures; Consideration of Infill Wall in Seismic Analysis of RC Buildings, PRENTICE HALL OF INDIA. 3. P.C. Varghese (2003). Advanced Reinforced Concrete Design; Design of Shear Wall, PRENTICE HALL OF INDIA. 4. Wolfgang, Schueller, (1977). High Rise Building Structure; shear wall arrangement Page no. 72 75 76. New York Wiley c.
Engineering & Technology, Sept. 2013. @IJAET, ISSN: 22311963, Vol. 6, Issue 4, pp. 1848-1854. 6. Sachin G. Maske, Dr. P. S. Pajgade (2013), “ Torsional Behaviour of Asymmetrical Buildings.” International Journal of Modern Engineering Research (IJMER), ISSN: 2249-6645, Vol.3, Issue.2, March-April. 2013 pp-1146-1149. 7. M.D. Kevadkar, P.B. Kodag (2013), “Lateral Load Analysis of R.C.C. Building.”(IJMER), ISSN: 2249-6645, Vol.3, Issue.3, May-June. 2013 pp-1428-1434. 8. Wakchaure M. R, Nagare Y U (2013), “Effect of Torsion Consideration in Analysis of Multi Storey frame.” International Journal of Engineering Research and Applications (IJERA) ISSN: 2248-9622 www.ijera.com Vol. 3, Issue 4, Jul-Aug 2013, pp.1828-1832. 9. Misam Abidi, Mangulkar Madhuri. N. (2012), “Review on Shear Wall for Soft Story High-Rise Buildings.” (IJEAT), ISSN: 2249 – 8958, Volume-1, Issue-6, August 2012. 10. P. P. Chandurkar and Dr. P. S. Pajgade (2013), “Seismic Analysis of RCC Building with and Without Shear Wall.” (IJMER), www.ijmer.com Vol. 3, Issue. 3, May - June 2013 pp-1805-1810 ISSN: 2249-6645. 2248-9622, Vol. 2, Issue 3, May-Jun 2012, pp.1786-1793. 12. Himalee Rahangdale , S.R.Satone (2013), “Design And Analysis Of Multistoried Building With Effect Of Shear Wall.” (IJERA), ISSN: 2248-9622, Vol. 3, Issue 3, May-Jun 2013, pp.223-232. 14. P. S. Kumbhare, A. C. Saoji (2012), “Effectiveness of Reinforced Concrete Shear Wall for Multi-storeyed Building.” International Journal of Engineering Research & Technology (IJERT) Vol. 1 Issue 4, June - 2012 ISSN: 2278-0181, pp.1-5. 15. S.S. Patil, S.A. Ghadge,C.G. Konapure, and C.A. Ghadge (2013), “Seismic Analysis of High-Rise Building by Response Spectrum Method.” (Ijceronline.Com) Vol. 3 Issue. 3, March-2013 ISSN: 2250-3005, pp. 272-279. 16. Anshuman. S, Dipendu Bhunia, Bhavin Ramjiyani (2011), “Solution of Shear Wall Location in Multi-Storey Building.” (IJCSE) Volume 2, No 2, Nov- 2011, ISSN 0976 – 4399, pp.493-506. 17. 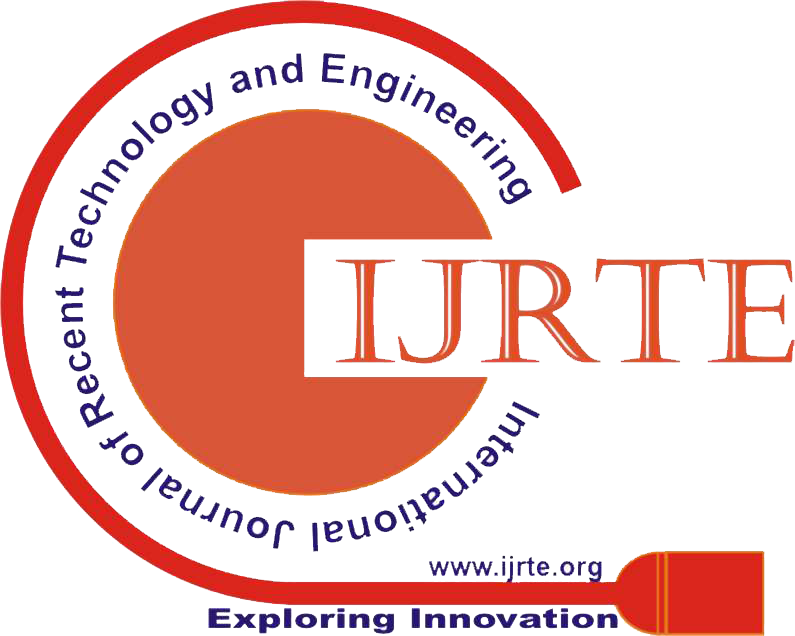 V. P. Jamnekar1, P. V. Durge (2013), “Seismic Evaluation of Brick Masonry Infill.” International Journal of Emerging Trends in Engineering & Technology (IJETET) Vol. 02, No. 01, 2013, ISSN No. 2248-9592. 18. Mulgund G. V and Kulkarni A. B (2011), “Seismic-Assesement-of-RC-Frame-Buildings-With-Brick-Masonry-Infills.”(IJAEST)-Volume-No-2,Issue-No-2, ISSN: 2230-7818 pp.140-147. 20. J. Dorji and D.P. Thambiratnam (2009), “Modelling and Analysis of infilled frame structures under seismic loads.” The Open Construction and Building Technology Journal, 2009, vol-3, pp.119-126, 1874-8368/09. 21. Elena Vaseva (2009), “Seismic Analysis of Infilled RC frames with Implementation of a masonry panel models.” 11th National Congress on Theoretical and Applied Mechanics, 2-5 Sept. 2009, Borovets, Bulgaria. 22. S. Hak, P. Morandi, and G. Magenes (2013), “Local effect in the seismic design of RC frame structure with masonry infills.” 4th ECCOMAS Thematic Conference on Computational Methods in Structural Dynamics and Earthquake Engineering M. Papadrakakis, N.D.Lagaros, V. Plevris (eds.) Kos Island, Greece, 12–14 June 2013. 23. Sachin R Patel, Sumant B patel (2011), “Effect of Brick infill panel in Design of high rise buildings.” (NCRTET), B.V.M. Engineering College, V.V. Nagar, Gujarat, India 13-14 May 2011. 24. Kashif Mahmud, Md. Rashadul Islam and Md. Al-Amin (2010), “Study the reinforced concrete frame with brick masonry infill due to lateral loads.” IJCEE-IJENS Vol: 10 No:04 pp. 35-40. 108504-2727-August 2010. 25. Md Irfanullah , Vishwanath. B. Patil (2013), “Seismic Evaluation of RC framed buildings with influence of masonry infill panel.” (IJRTE) ISSN: 2277-3878, Volume-2, Issue-4, September 2013 pp.117-120. 26. Nikhil Agrawal, Prof.P.B Kulkarni, Pooja Raut (2013), “Analysis of masonry infilled RC frame with & without opening including soft storey by using equivalent diagonal strut method.” (IJSR) Publications, Volume 3, Issue 9, September 2013 1 ISSN 2250-3153. 27. Haroon Rasheed Tamboli and Umesh.N.Karadi (2012), “Seismic analysis of RC frame structure with and without masonry infill wall.” (IJNS) ISSN: 0976 – 0997 Vol.3 / Issue 14/ October2012 pp.1137-1148. 28. Catherin Jeselia M., Jayalekshmi B.R., KattaVenkataramana (2013), “Modelling of masonry infill-A review.”(AJER) e-ISSN : 2320-0847 p-ISSN : 2320-0936 Volume-2 pp-59-63. Abstract: The Microcontroller based adjustable closed-loop DC motor speed controller systems has already become an important drive configuration for many applications across a wide range of power and speed . This is due to their simple control, high reliability, low cost and fast response and ability to work in all the four quadrants. Control System Design and Analysis technologies are widely suppress and very useful to be applied in real-time development. Some can be solved by hardware technology and by the advance use of software, control system are analyzed easily. This paper deals with the digital control of DC motor. The motor is controlled in all the four quadrants; in fact energy is conserved during the regenerative period. The digital controller dsPIC30F4011 is used, as it is very advantageous over other controllers, as it combines the calculation capability of Digital Signal Processor and controlling capability of PIC microcontroller, to achieve precise control. In this paper, control techniques of dsPIC30F4011 microcontroller and MOSFET are analyzed by mainly focusing with the Modeling and Simulation of DC Motor using MATLAB. The simulation model is developed using MATLAB/SIMULINK environment. The reason for choice of MATLAB/SIMULINK as development tool is, it is the most important and widely used simulation software. The prototype hardware set is tested in the power electronics laboratory for motor rating of 1HP. The setup is tested for open & closed loop control of motor. Keywords: DC motor, digital control, dsPIC, four quadrants, regenerative braking. 1. M.H.Rashid, Power Electronics Handbook, Englewood Cliffs, NJ: Prentice Hall, 1993. 2. N.Mohan, T.M.Underland, and W.P.Robins, Power Electronics, Converters, Applications, and Design, New York: John Willey and Sons, 1995. 3. F.Z.Peng, “Z-source inverter”, IEEE Trans. On Industry Applications, Vol.39, No.2, March / April 2003, pp.504-510. 4. X.Ding.Z., Qian, Y.Zie, and Z.Lu, “Three-Phase Z-Source rectifier” in Proc. IEEE Power Electronics Specialists Conf (PESC), 2005, PP.494-500. 5. x.Ding, Z., Qian, Y.Xie, and F.Z., Peng., “A Novel ZVS Z-source rectifier”, in Proc. IEEE Applied Power Electronics Conf. (APEC), 2006, PP.951-955. 6. x.Ding., Z.Qian, Y.Xie, and F.Z.Peng., “A Novel buck – boost z-source rectifier”, in Proc.IEEE Power Electronics Specialists Conf. (PESC), Achen, Germany, 2006, pp.1225-1229. 7. Caricchi F., Crescimbini F., Capponi F.G., Solero L., “Study of Bidirectional Buck-Boost Converter Topologies for Application in Electrical Vehicle Motor Drives”, 1998 pp.287-293. 8. Schupbach R.M., Balda J.C., “Comparing DC-DC Converters for Power management in Hybrid Electric Vehicles”, 2003, pp.1369-1374. 9. Hu Quingbo, Lu Zhengyu,“A Novel Full-Digital Bi-directional Constant Current Source Converter”, in Proc., IEEE Power Electronics Specialists Conf. (PESC), 2006, PP.175-180. 11. Manu Jain, Daniele M., Praveen K. Jain “A Bi-directional DC-DC Converter Topology for Low Power Application”, IEEE Transactions of Power Electronics, Vol.15, No.4., 2000, pp.595-606. 12. Y.Berkovich, B.Axelrod, S.Tapuhi, A. Ioinovici, “A Family of Four Quadrant PWM DC-DC Converters”, in Proc. IEEE Power electronics specialists Conf. (PESC), 2007, in Press. 14. C. Sheeba Joice, Dr.S.R.Paranjothi and Dr.V.Jawahar Senthil Kumar” Digital Control Strategy for Four Quadrant Operation of Three Phase BLDC Motor with Load Variations"
Abstract: The effect of ageing time and temperature following quenching from solution treatment at 540±2OC on the micro structure and properties of A201.0 Al alloy was studied. Using thermodynamic modeling with JMatPro, the intermetallic phases that exist at the end of solification was determined. Intermetallic phases like CuAl2, Al2CuMg and Mg-Si phase contribute to the hardness of the alloy. Ageing was carried out upto a maximum duration of 10000 hours at a constant temperature of 170±2OC. As ageing time increased, the hardness of the alloy increased due to the enhanced presence of Guinier-Preston (GP) zones which are coherent with the alloy matrix. With further ageing (overageing) the hardness of the alloy decreases as the precipitate loses its coherency with the alloy matrix. 4. Kent R.Van Horn, Aluminum Vol. I Properties, Physical Metallurgy and phase Diagrams, ASM, Metals Park, OH, 1976. 6. W.L. Fink and L.A. Willey, Transactions of AIME, Vol.175, 1948, pp.414-427. 7. J.W. Evancho and J.T. Staley, Metallurgical Transactions A, Vol.5, Jan. 1974, pp.43-47. 8. J. Katz, Metal Progress, Feb. 1966, pp.70-72. 9. S.E. Axter, Tech Paper CM-80-409 Society of Manufacturing Engineers, 1980. 10. Massazza, M. and Riontino, G., “Secondary ageing in Al-Cu-Mg”, Phil. Mag. Lett., 2002, 82 (9), p.495. 12. Frank King (ed. ), Ellis Horwood, Aluminum and Its Alloys, LTD. England, 1987. 13. Ratchev, P., Verlinden, B., De Smet, P. and Van Houtte, P. 1999. Mater.Trans. JIM 40 :34. 14. Mondolfo L. F. 1976. Aluminium Alloys: Structure and properties. London : Butterworth. 15. Hardy, H. K. 1954-55. J. Inst. Metals. 83 : 17. 16. Bagaryatsky, Yu. A. 1952. Dokl. Acad. Nauk SSSR. 87 : 397. 17. Ringer, S. P., Sakurai, T. and Polmear, I. J. 1997. Origins of Hardening in Aged Al- Gu-Mg(Ag) Alloys. Acta Mater. 48 : 2751. 18. Silcock, J. M. 1960-61. J. Inst. Met. 89 : 203. 19. Cuisiat, F., Duval, P. and Graf, R. 1984. Scr. Metall. 18 : 1051. 20. Abis, S., Massazza, M., Mengucci, P. and Riontino, G. 2001. Early Ageing Mechanisms in a High-Copper AlCuMg Alloy. Scr. Mater. 45(6) : 685-691. 21. Wang, S. C. and Starink, M. J. 2007. Two Types of S Phase Precipitates in Al-Cu-Mg Alloys. Acta Mater. 55(3) : 933-941. 22. Ashby, M.F. and Jones, D.R.H. 'Engineering Materials 2, Second Edition.' Butterworth Heineman, Oxford, 1998. 23. Wang, S.C., Starink, M.J., Gao, N., “Precipitation hardening in Al–Cu–Mg alloys revisited”, Int. Mater Rev., 50, 2005, p.193. 24. Ringer, P., Sakurai, T., Polmear, I.J., “On the origins of hardening in Al–Cu–Mg–(Ag) alloys”, Acta Mater., 45, 1997, p.3731. 25. Marceau, R.W.K., Sha, G., Lumley, R.N., Ringer, S.P., “Evolution of solute clustering in Al-Cu-Mg alloys during secondary ageing”, Acta Mater., 58, 2010, p.1795. 26. Sha, G., Marceau, R.K.W., Gao, X., Muddle, B.C., Ringer, S.P., “Nanostructure of aluminum alloy 2024: Segregation, clustering and precipitation processes”, Acta Mater., 59, 2011, p.1659. 27. Zahra, A., Zahra, C.Y., Alfonso, C., Charai, A., ”Comments on cluster hardening in an aged Al Cu Mg alloy”, Scripta Mater., 39, 1998, p.1553. 28. Wang, S.C., Starink, M.J., “The assessment of GPB2/S’’ structures in Al-Cu-Mg alloys”, Mater. Sci. Eng: A, 386, 2004, p.156.